What time are minyanim today? There are the 7:30, 8:30, and 9:30 am Shachris, Mincha at 2:00 pm, Mincha-Maariv 15-45 minutes before sunset, and a Maariv at 9:30 pm. Dial 716-335-9551 ext. 22 for our updated minyan schedule for this week. What are the hours of the shul? The shul is open from 6am to 10pm. Contact us for extended hours. Do you offer kosher food? Is there a kosher supermarket or restaurants in the area? There is an independent dairy restaurant called Bubby’s New York Bagels, and an independent meat restaurant called Taste. Both restaurants operate in the Jewish Welcome Center. There is no kosher supermarket in the area. The closest ones are in Hamilton ON, and Buffalo NY. The closest kosher restaurants are in Toronto. What are the hours of the restaurants? Bubby’s Bagels is open from 9 in the morning until 10 in the evening, and Taste is open from 6 until 10 in the evening. Do you have Shabbos food options? Could we buy Shabbos food from the restaurant? Yes, Chabad offers shabbos meals, see Shabbos below for more information. The restaurant does not have Shabbos meals. What is the hashgacha of the restaurants and Shabbos meals? 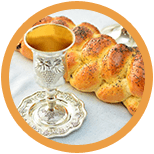 Both restaurants and the Shabbos meals are under The COR ‘Kashrus Council of Canada’ certification, with the direct supervision of Rabbi Zalman Zaltzman of Chabad Niagara. 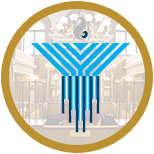 The establishments are strictly Cholov Yisrael, Pas Yisrael, Bishul Yisrael, and Haimishe Shchita. Do you offer Beit Yosef? The chicken which is cut locally is under the supervision of COR and Rabbi Zalman Zaltzman of Niagara Falls and is Beit Yosef standards. It is put on the flame by a Jew in accordance with the halachot of Bishul Yisrael. However, the cold cuts are not cooked with Beit Yosef standards. Where could we stay for Shabbos? Do you have Shabbos meals? How much do they cost? Can we have our own table for Shabbos? Seating for Shabbat comes in tables with ten seats, with couples and small families seated together. If you would like to reserve a table together with other families, please indicate this in your reservation and we will try to accommodate you. However, this may not always be possible. Can I book just one Shabbos meal? Depending on availability you could book an individual meal but it’s usually not worth it to the caterers to cook just one meal as they could likely book someone who is buying all 3 meals, but if it is a necessity an individual meal could be bought for $65. What currency are the Shabbat meals in? What are the fees included in the price of meals? The meals price is in USD. The fees include taxes and gratuity. How could I figure out if the Eiruv is up? An email goes out on Friday to all Shabbos guests stating the status of the eiruv. What hotels could I stay at during the week? Could I get a discount? There are a variety of hotels nearby. 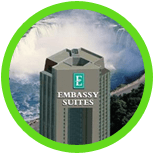 If you book at Four Points, Embassy Suites, Ramada, or Best Western, mention CHABAD to get 5% off. Where could we stay if we want to come for Shabbos? What are the benefits of the Four Points? There are 50 rooms with a Shabbos key, there is an Eiruv between the hotel and Chabad, as well there are manual doors. Can we check in to our hotel room for Shabbat on Thursday? Can me and my family get adjoining rooms for Shabbat? How do I get my key for the Shabbat room? Stop by Chabad on Friday to pick it up. Can I book a hotel room through you for Shabbat using points? Chabad only accepts credit card payments for Shabbat, whether it be the hotel room or the meals. What are the attraction discounts for groups? 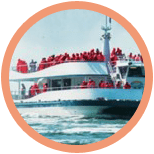 Let us know what you want to do and what amount of people, and we will send you an offer that will be lower than even the regular group rates. Where is a park where I could bbq? Kingsbridge Park is a local park that you could bring your own bbq to, grill on site and eat on the benches inside the gazebo located in the center of the park. Heartland Forest is a scenic forest in Niagara Falls, known for its trails and picnic/ BBQ area. Call them for information about their availability. Queenston Heights is a park located in Niagara on the lake, located atop the Niagara Escarpment and the parallel to the Bruce Trails. It is a beautiful place to picnic and BBQ if you’re looking to get away from the loud tourist area. When is the least busy time for the main attractions? From 11-4 is the busiest time of day, so try going before 11 or after 4. How does the parking work around the Chabad Welcome Center? We don’t own a parking lot, and you will get towed if you park in the nearby lots, however, there is metered parking on the street and other nearby lots where you could pay for hourly/full-day parking. How long do people stay in Niagara Falls? Most visitors are here for an average of 2-3 days. Some even stay for 4-5 and seem to enjoy themselves immensely. Average weekend visitors are for Thursday-Sunday or Friday-Monday.